Easter Sale!! Get Discount Code! Dollhouse Miniature Assorted Bread Mold NEW! 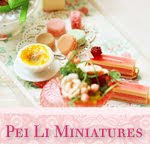 Over the weekend, I completed a dollhouse miniature dessert which was on my list to do. Yay! I saw this dessert on Pinterest and had it bookmarked. I'm just thrilled that I got down to making it, finally! Here, the dessert on my fingers. Have a wonderful Easter Monday everyone! What are your plans in where you are? I have no plans, and actually having no plans sounds good to me. I'm definitely going to take it easy, and relax, craft, nap, jog, doing all the things I love. I will announce it if it works out. 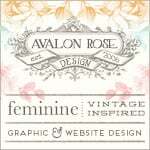 Meanwhile, I am offering a 10% discount when you purchase a minimum of $25 USD from my shop here. 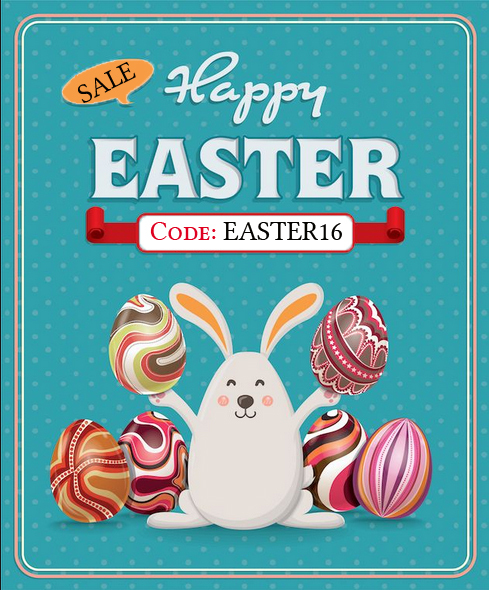 Remember to enter Code: EASTER16 when you are ready to check out! Wishing all a Happy Easter Holiday! I saw a google image of a eiffel tower book shelf a while ago, which inspired me to make a dollhouse miniature eiffel tower zakka shelf. 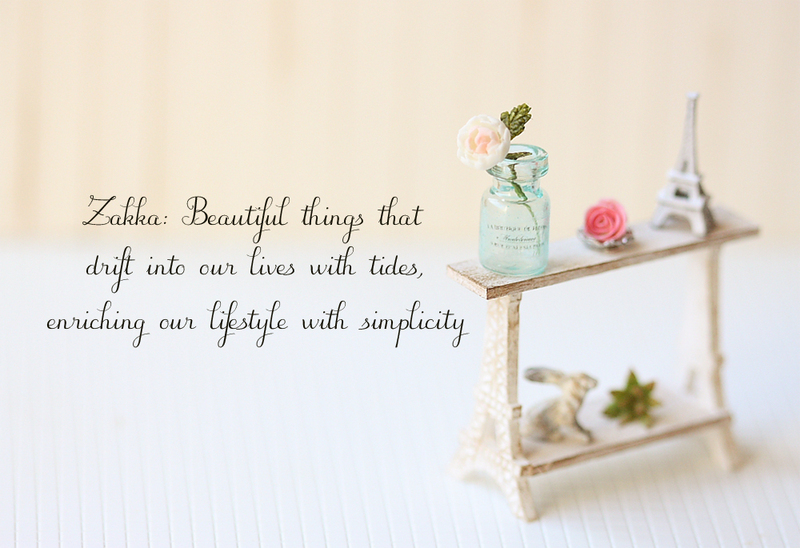 I love zakka style as you know. :) If I had my own home, I would either decorate it in zakka style or parisian style. I'm undecided. Both so different but equally appealing. The eiffel tower miniature shelf I made can be used and placed in many parts of a dollhouse. Who can resist a blue glass bottle with a flower?^^ I'm going to make more of those bottles just because I LOVE them! The Eiffel Tower shelf can also be used as a miniature book shelf, to be placed on the floor. I think this also fits into the french chic theme as well. I'm also aiming to make these shelves in other colors. Blue and pink is a MUST! I tested out a new product today. I got it from Art Friend a while ago. I'm always on the hunt for glues. I use a few different types for gluing different surfaces. 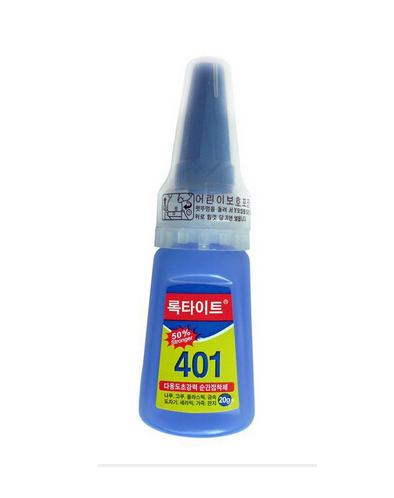 Being curious, I got a bottle of this Korean 401 Super Glue. I wanted to try gluing tougher surfaces with this. If you're gluing wood pieces, I think there are other better wood glue out there which you can use which works faster. I tested resin and metal parts with this. I was going to give it a 2 out of 5 stars but I waited. I have to say it's NOT a fast dry super glue. You have to be patient! But boy, once it is dried, the item is super strong. For its durability, I'll say it's good. Don't use this if you want a speedy fast dry glue! 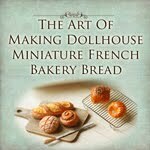 I am excited to show you a new dollhouse miniature assorted bread mold! 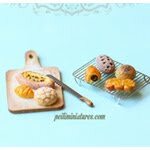 Over the past few days, I finally completed making several breads using this mold, to show you some possibilities of what you can make with this mold. One of the breads that inspired me to make was a favorite of mine, called Apple Tea Time Bread. Although the real life version is nothing like this, I am just happy to transform the inspiration into something different. The apple bits are semi-translucent, just like the ones I ate. But I do think I could do a darker version of the apple bits. And here are the seven different types of bread I made with the new mold. 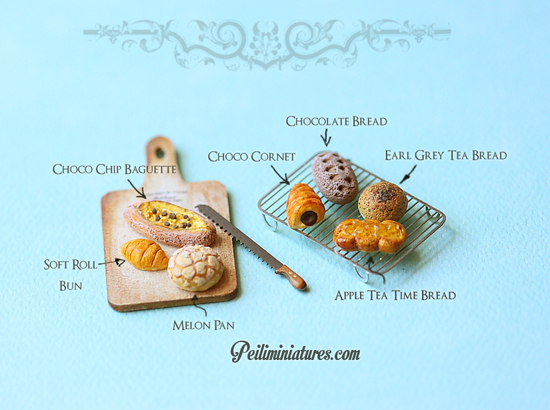 I love Earl Grey Tea Bread as well ^^ The faint scent and taste of earl grey tea in a bread is so delicious. Well, these are just inspiration ideas for you, as to what you can do with the bread mold. Of course, you can come up with ideas of your own, which is the the beauty of this mold! So, I'm accepting pre-orders for this newest bread mold now. Stocks shall arrive earliest Saturday (12 March, fingers crossed) and if not, by next week. Once they arrive, I will be shipping them out! I'm grateful for this project because it's the first time I tried making such "huge" desserts. 3.5cm cups! The fake cream was made with milk whip cream which is available here. Awesome fake whip cream I must say. Within the first 3 minutes, it dries on the surface. This is good especially if you need to layer cream after cream. Wait a while and then pipe again. Then the cream wouldn't collapse. Also remember to wash the piping tool nozzle right after use. That way, you can reuse the nozzle again. A close friend of mine is celebrating his birthday this month. I always have a hard time getting gifts for people, and probably even more so for men. I'm not very good with picking gifts. Over the years, I've bought items such as organic teas, handmade sweet treats, handmade marmalade, organic honey for this friend. But I'm running out of ideas and for a change, I thought of sending something non-food related. I love getting gifts from Etsy. I'm saying that not because I run an Etsy store there myself, but I've found really unique, great handmade gifts over there. By the way, I also got ALL those organic edible treats from Etsy!! I was thinking what my friend was into lately. What came into my mind was, his latest favorite word is "Namaste". So I went into Etsy and keyed in "Namaste" and my search results churned out quite a lot of gifts that were tagged with this. And then I found this! Isn't this pretty? 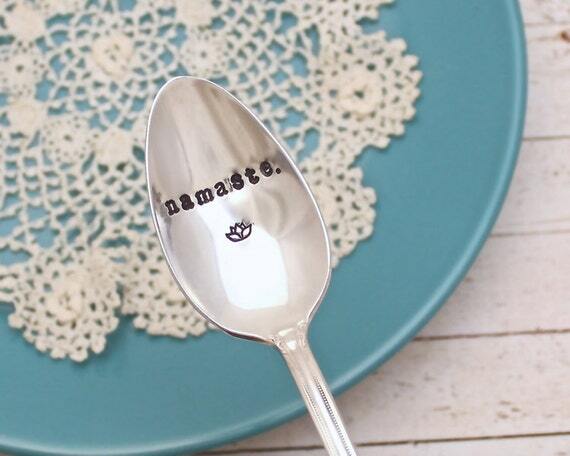 It's a coffee spoon and it's hand stamped! I HAD to get it for him and so I did!